Kitchen Remodeling – Martin Bros. Contracting, Inc. This week’s KBtribechat was focused on kitchen islands. We at Martin Brothers’ consider the island one of the most integral parts of the kitchen. The kitchen island serves as a prep space, a cooking area, storage space, a social hub and may even strategically separate or connect other spaces. We have been super busy with new project starts, and have been unable to participate in chats recently, so we thought we would take a few minutes to answer the questions posed this week by KBtribechat. What materials, finishes and details are currently popular for kitchen island cabinetry and hardware? 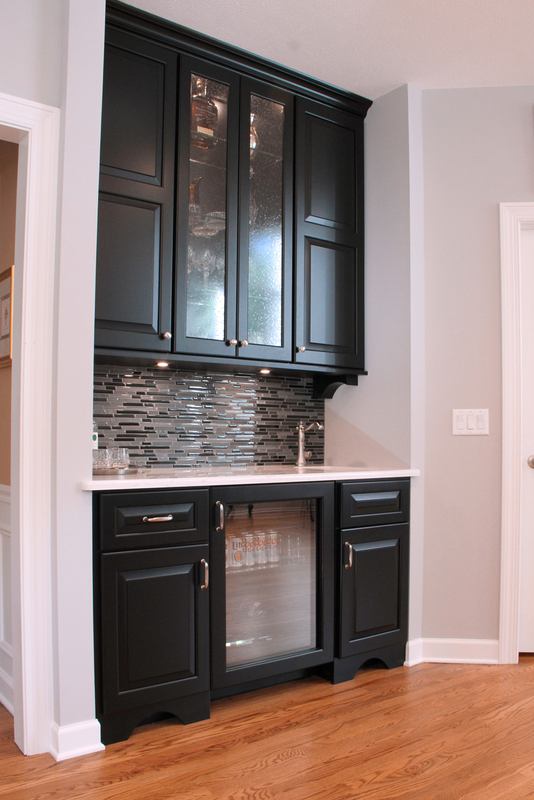 Painted wood cabinetry and islands of a contrasting color are the most popular choice. Our client’s tend to upgrade on the countertop selection for the island whether that be natural stone or hardwood. Decorative hardware tends to be high-end and very stylized. Do you like to match the kitchen island to the perimeter? Why or why not? We do not influence the selection of cabinetry since we are strictly a custom home builder/remodeler. This is left to the client and the client’s designer and/or custom cabinet supplier.The selection of the island cabinetry depends on the look and feel the client is wanting to achieve. We would say that contrasting islands are more the norm. Are waterfall counters still popular? What is trending for island countertop materials and edge details? Our client’s tend to be more traditional, so we have not seen waterfall countertops in our homes/remodel projects. Natural stone tops with a honed finish are very popular with our clients. Quartz is definitely a popular choice as well. The sky is the limit as far as edge detail. Everything from inset tile to corbels on the edge. Island countertops with an overhang for seating are popular. What design solutions do you like to add style to the eating bar side of an island? Decorative door panels, furniture styling, corbels and hidden storage underneath the seating area. What are the pros and cons on designing in a sink and dishwasher or cook top on the island? Pros are obvious: extra sink; extra storage; duplicate appliances or freeing up of perimeter cabinets for storage; extra serving space; ability to prep food while visiting with family and friends. Con it takes up valuable prep space if the island is small; cook tops too close to seating can be a danger to small children. Providing plumbing and electrical to a kitchen island in a new home is a breeze. However, if you are remodeling, and never had a sink or appliances in your island, there will be added cost to provide utilities to the island. Depending on the size of the island/kitchen the client may want to use it strictly for prep space. What features are nice to have or useful on a kitchen island? Share pictures! Specialty sinks, specialty storage, built-in appliances, deep drawers, seating, shelves. 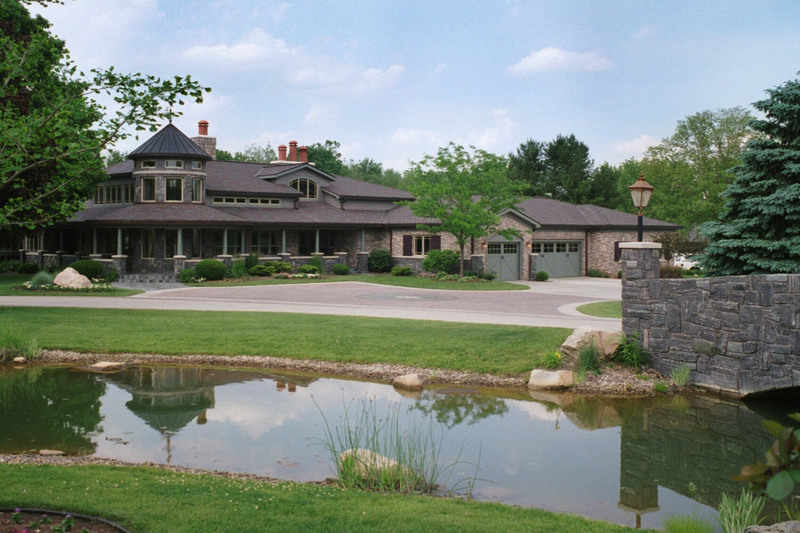 If you are in the Michiana area and in need of a kitchen remodel, please contact Martin Bros. Contracting, Inc. at 574-862-2142. Kitchen remodeling tops the list for US home renovations, according to the Houzz 2017 Kitchen Trends Survey, that was released Tuesday, January 10, 2017. Houzz research from the past three years shows that fewer homeowners are renovating their kitchen to improve the resale value of their home. Instead homeowner’s are choosing to stay in their homes long-term, and are placing higher value in healthier habits and face-time with family and friends instead of dollars. A new kitchen finds homeowners cooking at home more and eating out less; which translates into a healthier lifestyle. 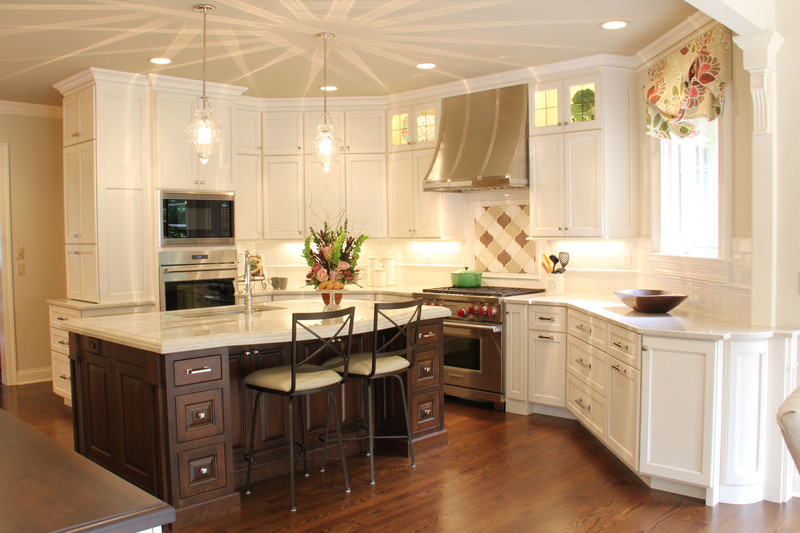 White remains the most popular kitchen cabinet color and the favorite wall color is gray. The pantry cabinet and kitchen island are in a virtual tie as the top built-in feature and stainless steel remains the top appliance color. When it comes to choosing kitchen materials such as countertops and flooring, look and durability are top factors across all age groups. 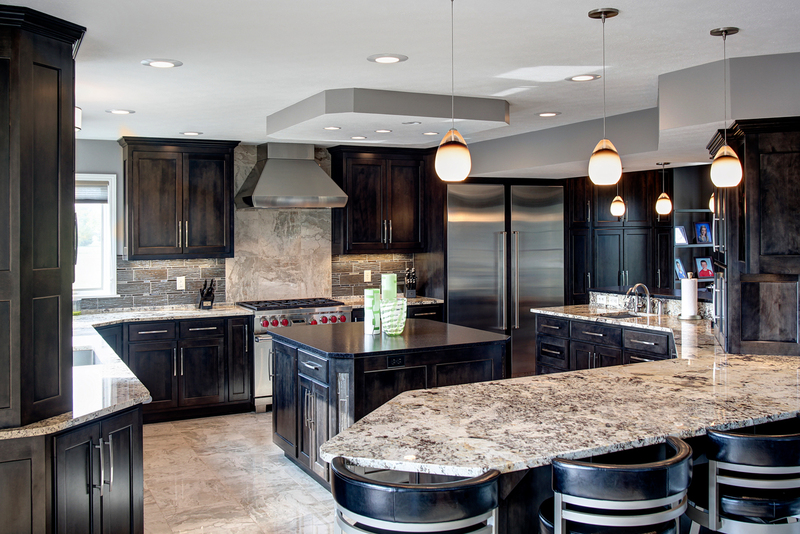 Granite remains the top choice for countertop selection, closely followed by engineered Quartz. In a virtual tie for most popular flooring choice is hardwood flooring and tile. Spending on the rise: Spend on kitchen renovations increased again in 2016. Nearly one in 10 homeowners spent more than $100K on a completed kitchen renovation in 2016 (nine percent), up from seven percent the two years prior. Another 20 percent spent between $50K and $100K. Custom cabinetry is king: Two in five updated kitchens include custom cabinets (40 percent), a slight decrease from last year (44 percent). 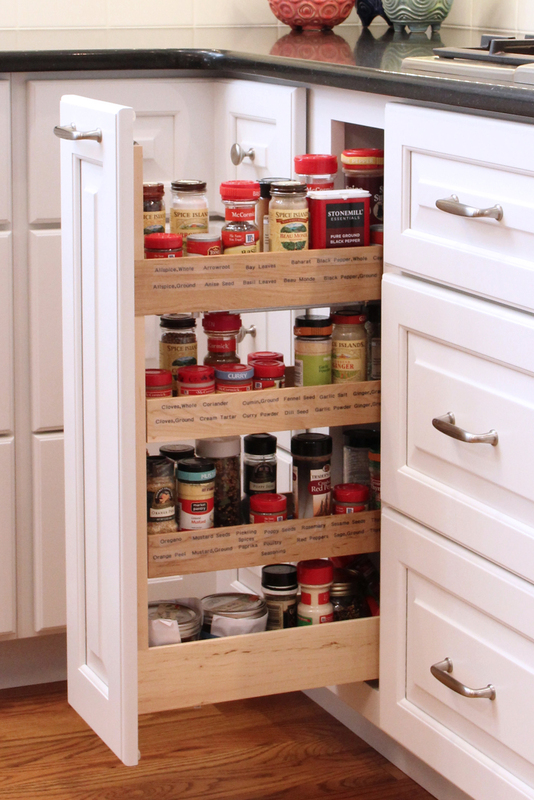 Semi-custom cabinets follow closely (36 percent). Older homeowners are more likely to install custom cabinetry (42 percent for Baby Boomers and 37 percent for Gen X). Surprisingly, a whopping third of Millennial homeowners go custom (32 percent). Even greater room: Great rooms remain popular, with over half of kitchens more open to nearby rooms following renovations (51 percent). Over a third of kitchens also gain square footage during updates (36 percent). Varied qualities drive finish preferences: Certain finishes are preferred for their specific qualities. Marble counters and wood flooring are rated highest for their look, while granite and quartz counters and porcelain flooring for their durability. Professional hiring remains high: Similar to last year, the majority of homeowners hire professionals for their kitchen renovations (88 percent), including general contractors (54 percent) and kitchen remodelers (10 percent). Design specialists, such as kitchen designers (25 percent), interior designers (14 percent), and architects (14 percent), are also in very high demand. Houzz has over 12 million photos of professionally designed interiors and exteriors, including completed kitchen projects, and more than 1.5 million active home remodeling and design professionals including kitchen and bath designers, architects, interior designers, general contractors and design-build firms. The “Kitchen Trends Study” is an online survey of U.S. Houzz users in November 2016. Houzz is the leading platform for home renovation and design, providing people with everything they need to improve their homes from start to finish – online or from a mobile device. From decorating a small room to building a custom home and everything in between, Houzz connects millions of homeowners, home design enthusiasts and home improvement professionals across the country and around the world. With the largest residential design database in the world and a vibrant community empowered by technology, Houzz is the easiest way for people to find inspiration, get advice, find products and hire the professionals they need to help turn their ideas into reality. Headquartered in Palo Alto, Calif., Houzz also has international offices in London, Berlin, Sydney, Moscow and Tokyo. Houzz and the Houzz logo are registered trademarks of Houzz Inc. worldwide. For more information, visit houzz.com. Today we are going to discuss a trend we have seen emerging for quite some time…the transitional-style kitchen. The NKBA states that the transitional-style kitchen has taken over as the most popular style of kitchen in American homes. You may ask, what is a transitional-style kitchen? It’s a kitchen filled with the warmth and feel of traditional design but with the clean and simple lines of contemporary. Think of a transitional kitchen as the middle ground between traditional and contemporary, a blending of old with the new. Because transitional style kitchens offer a great deal of flexibility, they’re a great choice for homeowners who don’t want to confine themselves to a single style or wish to be bit more creative. Cabinetry. Cabinets in a transitional kitchen have a simplified profile that fall just short of modern. The cabinets are most often made of wood and have simple paneled doors and sleek hardware. To add flair, think about using a chalkboard panel on a refrigerator door or glass panels on a few doors. Natural Materials. Granite, marble, limestone, concrete, soapstone and other natural countertop and flooring materials are versatile enough to fit into either traditional or contemporary style. So they are perfect materials to use in a transitional kitchen. Elaborate edge profiles are reserved for traditional kitchens, so stick with something simple. Backsplashes. 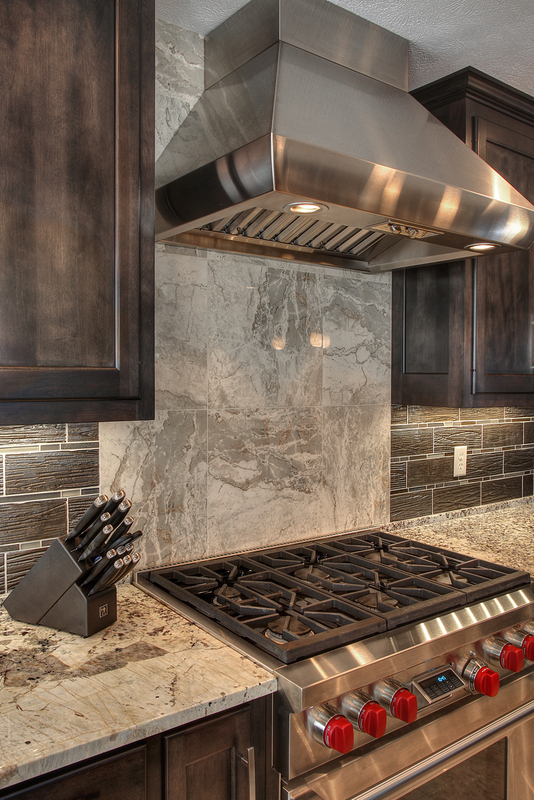 Think about using traditional tile in a very untraditional way (such as stacking the tile) for a backsplash. Simple is key, so other materials may be used such as chalkboard, stainless steel or natural stone. Monochromatic Colors. Transitional rooms rarely have strong color palettes. Some designers suggest that you stick with black or white. You may, however, choose any neutral color and layer it for a clean and monochromatic, yet warm effect. A dash of bold color here and there isn’t forbidden, but should be kept to a minimum. Embellishments. Part of what separates transitional kitchens from contemporary is that they allow for just a hint of decorative embellishment. Millwork, corbels, windows and furnishings are there to add flair. Choose wisely, too much will cross over to a more traditional style. Using Man-Made Materials. Mixing organic and man-made materials is a cornerstone of transitional design. Consider installing a stainless-steel farmhouse sink that has a contemporary finish or a stainless-steel and glass range hood. The key to a transitional kitchen is to think simplicity with a little bit of spark. Looking for more examples of transitional kitchens? Visit Martin Bros. Contracting, Inc. on our website or Houzz to see our kitchens! Want to know all the details about this kitchen visit the Stylish Kitchen Remodel. It’s Martin Brothers Monday and we are bringing you a complete kitchen remodel. The home, built in 1997, included a quality kitchen, but the kitchen was natural wood and with the wooded surroundings made the kitchen feel dark and small. The new black and white kitchen opens up the kitchen making it feel much larger and lighter. The remodel included removing all old cabinetry and starting fresh with custom raised panel, full overlay, painted maple cabinets from Hoosier House Furnishings, LLC. Perimeter cabinets are painted white and the countertop material is Caesarstone® Belgian Moon. 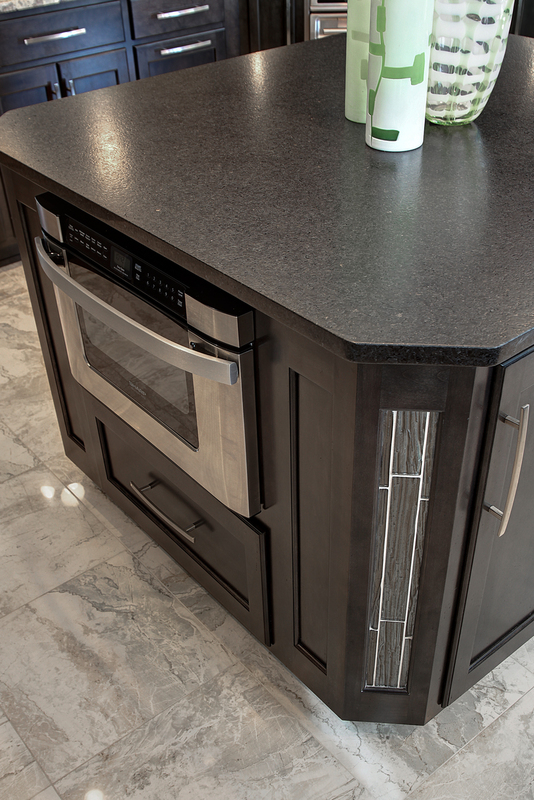 The island countertop is Cambria Torquay™ Quartz. Cabinets are now extended to the ceiling, include a larger prep island, new wet bar and pantry wall (reconfigured to allow for built-in oven and extensive pantry cabinetry). The project included refinishing and extending the hardwood flooring into the family room, painting and a half bath remodel. 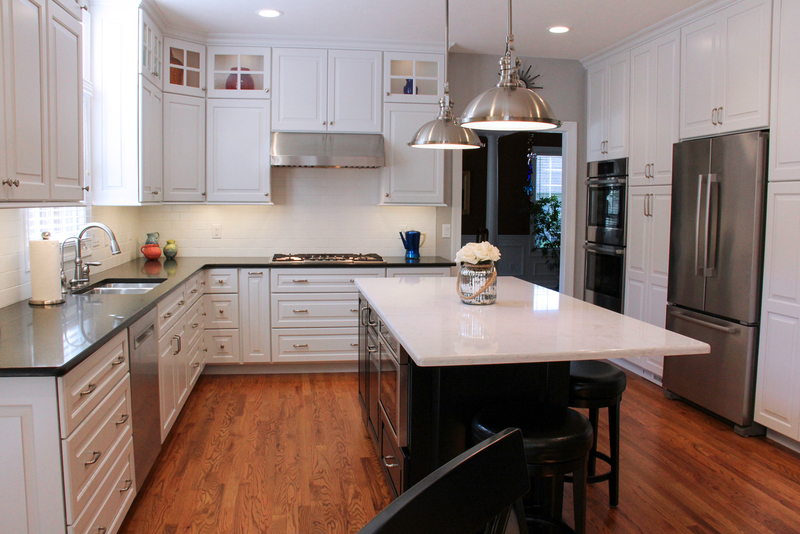 To see more images of this project visit the Woodland Hills Kitchen Remodel on Houzz. Let’s say you’ve decided to remodel your home. You’ve chosen a couple of remodeling companies to bid on your project. The bids come back, but the prices are all very different. You might find yourself tempted to hire the company with the lowest price. However, choosing a project based solely on price does have its disadvantages. With every remodeling project there are three elements to consider – PRICE, QUALITY and SERVICE. You, the homeowner are in charge of picking two of these elements. In other words if quality and service are important to you, you should expect to pay a fair price for the quality and service. If price is your main consideration, quality and service may not be perfect. In fact, many homeowners that chose a contractor because of their low price come to realize, after their project is complete, that they should have chosen the quality-minded contractor. Are inferior products being used to save money?Here are some questions you should ask yourself when considering bids? Was something left out of the bid that will cost me money later? Will the project be managed professionally? Will Lead-Safe work practices be followed? Will the company stay on time and budget? Will I be happy with the finished result? Will the renovation look good long after the project is complete? 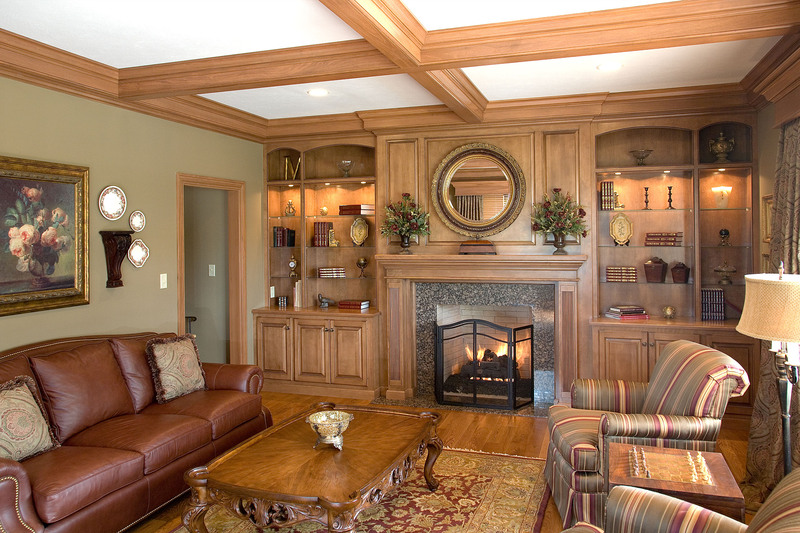 Martin Brothers treats our remodeling projects in the same manner as our new homes, with the utmost care. Large or small, our projects have one thing in common Martin Brothers’ quality, through and through. Each project is assigned a project foreman to ensure the project meets Martin Brother’s quality and service standards. As an EPA Lead-Safe Certified Firm, we have several on-staff Certified Lead Renovators. As such, we are equipped to handle renovating and remodeling homes built prior to 1978.